After the BDS-sponsored theatre of the Berkeley Human Welfare Commission hearing several weeks ago, the Daily Cal newspaper at UC Berkeley printed an Op-Ed by Carol Sanders of Jewish Voice for Peace. As with anything produced by JVP, it was a mixture of cherrypicked facts, half-truths, and outright lies. Today, the Daily Cal published my response. Read Sanders' piece here. Note the inflammatory language directed against both Israel and the JCRC. Read the published version of my response here. Here is the final version that I submitted to them. I highlighted the sections that were deleted by the Daily Cal. Compare what Sanders was allowed to get into print and what was cut from my submission. Judge for yourself whether there is an editorial double standard in play here. Carol Sanders’ Op-Ed celebrates the fact that anti-Israel activists hijacked a Berkeley city commission into holding a hearing on an anti-Israel resolution that, according to Berkeley’s own rules, it had no business even considering. Such “victories” are standard fare for the BDS (Boycott, Divestment, and Sanctions) movement which, despite hiding behind a façade of “human rights” and “open debate,” is actually anti-peace, anti-dialogue, and anti-coexistence. Sanders claims that it was somehow remarkable that the issue of “Palestinian rights” was discussed. American policy for many years has been to support a just peace on the basis of two states for two peoples—the Jewish state of Israel and a future Arab state of Palestine. The real problem here is that BDS insists that “human rights” and “justice” for the Palestinian Arabs require eliminating the right of the Jewish people to self-determination. The central demand of the BDS movement-- the “right of return” for millions of descendants of Palestinian Arab refugees who fled in 1947-49 during the war launched by the Arabs to destroy Israel at its birth-- would turn the Jewish people into a stateless minority in their own homeland. And as Omar Barghouti, co-founder of the BDS movement states, "I am not for a two-state solution." Former Commission member Cheryl Davila is not a heroic victim in this entire matter. Over the course of a year, she knowingly diverted the work of the commission, trying to fit the square peg of anti-Israel activism into the round hole of addressing poverty in Berkeley. As one example, she attended the recent Atlanta Conference of the US Campaign to End the Occupation when an award was given to Rasmea Odeh-- a convicted terrorist responsible for the death of 2 young Israelis. The hearing at the Human Welfare Commission itself was far from an enlightening debate. Some anti-Israel speakers presented the usual canards, lies and even frankly racist statements such as the charge that the fate of the Palestinian population under Israel’s control is similar to the genocide of European Jewry in the Holocaust--factually wrong as the Palestinian population has grown four times larger since 1967. Letters sent to the commission in favor of the resolution bemoaned that Berkeley was "deeply influenced by the monied Jewish lobby" and tried to defend the diversion of the Commission's work as an issue of "free speech." While Jewish Voice for Peace (JVP) claimed at the Commission’s September meeting that they represented the Jewish community, Jewish community members and leaders turned out to oppose the resolution. A letter to the Commission opposing the resolution was signed by many Jewish lay leaders and rabbis. In the end, almost two thirds of the speakers, Jews and non-Jews, urged the Commission to reject this deeply flawed and biased measure. Further, just as BDS activism on campuses and communities often leaves a trail of anti-Semitic incidents, several Jewish Berkeley residents described how they were targeted with hate speech in the few weeks leading up to this hearing. This should not surprise anyone. While not every BDS advocate is an anti-Semite, the fundamental core of their movement—denying the same rights to the Jewish people that they demand for the Palestinians—is prima facie discrimination against the Jewish people. In the end, despite the efforts of the Commission chair Praveen Sood to bully other commissioners into voting for his alternative divestment resolution, a majority voted down the entire topic. Some recognized that their commission should not have even considered this measure, as the Berkeley City Attorney had confirmed. They openly questioned why their commission spent so many hours on this measure, which took time and resources away from their mission of helping the poor in Berkeley. And one commissioner addressed the key question that BDS tries desperately to avoid, asking if measures such as this will truly bring peace to the region. The answer to that question, of course, is no—because BDS actually undermines efforts for a true peace in the region. Sanders claims she supports open discussion of this issue. So do I. The UC community might be well served by a genuine debate about BDS. Students of the Graduate School of Journalism could moderate it, and UCTV could film it. Let’s have a truly open discussion, to which people of good will and open minds can listen and make their own decisions. “It often happens in the middle of an otherwise pleasant day — you’re shopping, or walking across a college campus, and you encounter THEM. They’re holding signs that claim Israel is an “apartheid state” and charge Israel with committing “genocide” against Palestinians. They’re calling for boycotts against Israeli products, and divestment from companies that do business with Israel. You know supporting Israel is the right thing to do. And you’re not alone. For decades, polls have shown a large plurality, usually a majority, of Americans back Israel. But here’s the problem: you don’t know how to respond – or if you even should – to these Israel haters. This is an all-too-familiar sight, and has become more frequent in the past decade as Israel-bashing extremists have taken their hostility into the public square. This is the opening of my new book, “Winning A Debate with an Israel-Hater“, published earlier this month by Shorehouse Books. I wrote this book to give people the information they need to effectively confront these extremists in their own neighborhood—not to change the minds of those protesting Israel, but rather to let the general public hear the other side of the story. It’s extraordinarily important that we don’t let the lies of the PIDS (People with Israel Derangement Syndrome) go unchallenged. According to Manfred Gerstenfeld’s book Demonizing Israel and the Jews, they have managed to get over 150 million Europeans to believe that Israel is “exterminating” the Palestinians; you don’t want to see them successfully selling that malignant myth on your neighborhood. As a grassroots Israel activist, I have over a decade of experience countering anti-Israel groups in the San Francisco Bay Area, not only in person but also on TV and radio. I’ve also given many talks, both to pro-Israel and to more neutral audiences. This handbook distills all of that experience into a useful guide for Israel supporters, and also does it with some satirical humor to both entertain, and make the points easier to remember. It’s important that our side be credible. You won’t be able to fact-check on the fly when confronting the PIDS, so it’s vital to stick to what you already know is the truth. Of course, this is even more important in any online encounter where your words can remain visible for an eternity. You don’t want your rhetorical gaffe about Israel to end up like a drunken party photo posted on Facebook. Even editing a blog post or deleting a Tweet is no protection against the infamous “screen shot” that captures what you initially sent into cyberspace. It should also go without saying that we don’t need to resort to “Pallywood” techniques of faked pictures and maliciously edited videos to make our points. And we don’t want to find ourselves in the moral sewer inhabited by PIDS who, during Operation Protective Edge, posted pictures of the murder scene of the Fogel family—butchered in their home by Palestinian terrorists—claiming them to be Gazan victims of IDF operations. Also, beyond substance, consider style. Nothing undercuts the punch of an online comment like bad speling and gramur, ‘cause if you don’t rite good then your statement looks fulish. These people may be wrong on the facts and their train of thought on this issue may not be running at full speed, but they are often otherwise quite functional and rational. Instead, take a deep breath and simply point out the errors of either facts or logic. Although you can go “Law and Order” on them and “impeach the witness” if the person (or the organization they represent) has a track record of making statements that are demonstrably wrong. The person seeking the moral high ground should also occupy the rhetorical high ground. Avoid overly broad statements such as “all Palestinians are supporters of terrorists.” Do too many of them support radical Islamist terror? Absolutely—even one is too many. But recognize that just as you want the PIDS to make unforced errors to which you can respond with authority, they want you to do the same. Don’t help them out. You can blame the Palestinian leadership for refusing to negotiate peace with Israel, but you can’t blame every Palestinian-in-the-street for that. Avoid conflating all anti-Israel activism into the most extreme position (which is, for you newbies, supporting Hamas and its calls for genocide). Winning a Debate with an Israel-Hater is available on Amazon.com in both paperback and Kindle. This week in The Nation, Noam Chomsky has joined Norman Finkelstein and MJ Rosenberg in distancing himself from the BDS movement. All three are well known as harsh critics of Israel, with added legitimacy and fame (or infamy, depending on your viewpoint) granted to them by virtue of being Jewish. Yet, starting with the posting on YouTube of Finkelstein's 2012 interview with a BDS activist that became a must-watch for those involved in this issue, they have each called out BDS quite publicly. Finkelstein was entirely clear about what BDS was about; referring to it as a "cult", he noted the implications of their demands: "We want the end of the occupation, the right of return, and we want equal rights for Arabs in Israel. And they think they are very clever because they know the result of implementing all three is what, what is the result? You know and I know what the result is. There’s no Israel!" "The BDS Movement Is About Dismantling Israel, Not The '67 Occupation". He stated "The demands make clear that the movement's goal is ending Israeli statehood, not just the post-1967 occupation......If the BDS goals were achieved, there would be no State of Israel at all. That is why so many proponents of BDS have such a hard time even referring to Israel as a country. It's often the "Zionist entity" or the "occupying regime." Rosenberg has also denounced one of the leaders of the BDS movement, Ali Abunimah, for open anti-Semitism-- and recognized that Jews on the left tolerate that far too easily: "There is a tendency among Jews on the left, including myself, to argue so vehemently that being anti-Israel does not make one an anti-Semite that we don’t notice when being anti-Israel coexists with anti-Semitism, that one just feeds the other. We should"
Now Chomsky has joined with his denunciation of BDS, but even in recognizing its errors, he continues to get the story wrong. He assesses the 3 demands of the BDS movement but doesn't accurately describe the first. Chomsky writes "The opening call of the BDS movement, by a group of Palestinian intellectuals in 2005, demanded that Israel fully comply with international law by "(1) Ending its occupation and colonization of all Arab lands occupied in June 1967 and dismantling the Wall." . Time out for the referee's whistle. Let's check the actual web page of the BDS Call as of this moment. Here's the same demand there: "1. Ending its occupation and colonization of all Arab lands and dismantling the Wall". Oops. No organization pushing BDS considers Haifa and Tel Aviv to be any less "occupied Arab lands" than Gush Etzion or Ariel, and none accepts the right of Israel to exist as the state of the Jewish people within the pre-1967 armistice lines. That's a yellow card for Noam. Like Rosenberg and Finkelstein, he does criticize the demand for the fictional "right of return" for descendants of Arab refugees from Israel's War of Independence (a war made necessary by Arab refusal to accept the establishment of the Jewish state). But unlike Rosenberg and Finkelstein, he fails to clearly point out that the goal of this demand is indeed the elimination of Jewish statehood. His criticism is solely that this demand lacks support, especially-- as he accurately points out--that it has no basis in international law (contrary to the loud insistence of those touting it as a "rights-based" effort). Presumably if there were more people around dedicated to the elimination of Israel, he would be willing to support it. (d) The appropriate arrangements should be established to guarantee, in accordance with the Charter of the United Nations, the sovereignty, territorial integrity and political independence of all states in the area and their right to live in peace within secure and recognized boundaries;"
So we see a call for a Palestinian state (which was not part of the consensus of the US, Europe or Israel in 1976) and the attempt to give the fictional right of return a more solid standing than just the advisory nonbinding General Assembly Resolution 194 (which, itself, does not include the word "right" when discussing possible return of refugees). Two rather significant points that were not in the international consensus at all, and the second of which would result in an American veto of this resolution were it introduced today. That's a second yellow card and Noam is now off the pitch (at least for today). Even when he's right in finding fault with BDS, he still can't be intellectually honest about either its history or its goals. It's good that even severe Jewish critics of Israel are waking up to the dogmatic anti-Zionism and anti-Semitism that is baked into the BDS movement. They may be a bit late, having failed to notice that these have been part of the DNA of the movement since its birth in the moral sewer of the 2001 Durban NGO conference, but at least they are now calling BDS and its hateful leaders out openly. It seems that Jewish Voice for Peace has now left itself out alone on the BDS island, as they still stubbornly refuse to see the anti-Semitic hate speech of those with whom they choose to stand. 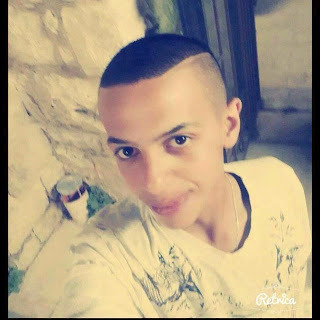 The news broke about 12 hours ago that the body of an Arab teenager, Mohammed Abu Khdeir, was found in the Jerusalem Forest, while earlier in the day far-right extremist Israelis held a rally in Jerusalem chanting "Death to the Arabs." While nothing has been proven, it's hard to escape the fear that the reported kidnapping in Beit Hanina last night has led to the deliberate death of an Arab child at Jewish hands. The anger of many Israelis over the murders of Eyal Yifrach, Gilad Shaar and Naftali Frenkel is still a raw wound, just like the ground in which the boys have been laid to rest, side by side. And the anger is appropriately directed not just at those who killed the boys, and not just at the Hamas leadership that has relentlessly encouraged kidnap and murder of Jews, but also at those who cheered this act with the obscenities of cartoons and 3 fingered salutes posted on social media, and who handed out candy in celebration. But this anger cannot translate into "an eye for an eye". It cannot-- wantonly and deliberately, with malice aforethought-- take the life of a Palestinian child who had nothing to do with the murder of our children. It cannot allow us to sink to the depravity of Hamas. And, if so, it will without doubt be denounced. Not only the government of Israel, but Jewish community leaders the world over will condemn it. That's the difference between those on our side, and those on the other. We've seen outright cheerleading of the murder of our boys, and we've also seen the craven refusal to condemn it because they were standing on the wrong side of a line on a map-- a line behind which those who hate Israel don't even grant Jews the right to safety anyway! It requires more than just denunciation, though. It requires that those responsible be brought to justice. It requires the end of tolerance for "price tag" attacks, which create a new normal of lawless racist behavior. It requires that the leaders of these extremists be held accountable for the consequences of their incitement, just as we hold the leaders of Hamas personally responsible for what happened on the road in Gush Etzion nearly 3 weeks ago. We have to be better than this. Not just to avoid giving peddlers of hate and misinformation such as Ali Abunimah and Max Blumenthal more opportunity to slander Israel and the Jewish people-- though that's important. Not just to try to keep events from spiraling into open warfare in the streets-- though that's critically important. But because if we descend into the same depths of bloodlust and hatred as our enemies, then what have we become? In about 18 hours Tel Aviv will be treated to perhaps the mother of all BDS fails-- its first Rolling Stones concert. The Stones are even being considerate of observant Jewish fans by delaying the start of their concert until after the close of the Shavuot holiday. In honor of this event, I took some liberties with one of their signature songs. We’re in Israel though you told us “stop”. You don’t get to be a morals cop. We’re here in Israel, it’s an awesome scene!